Perhaps my affinity for coffee shops comes from how much time I spend reading and writing. I love a place that offers a pretty change in scenery with a relaxed artistic vibe where I can sip latte after latte while being mildly productive fr om a tablet or laptop. 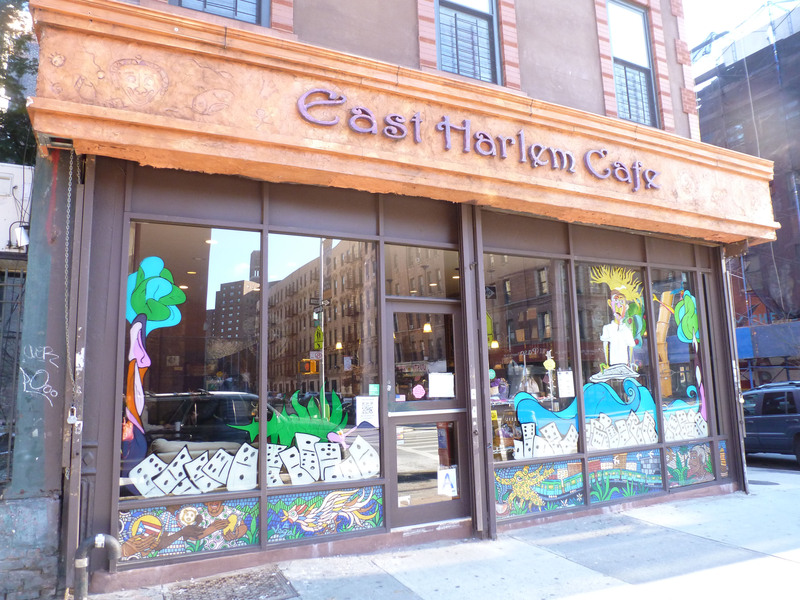 When I first moved to the East Side East Harlem Café’s corner location at Lexington Ave and E 104thSt was home to first incarnation of James DeLaVega’s storefront and artist studio, so it has a history of housing institutions critical to nurturing culture and art in East Harlem. 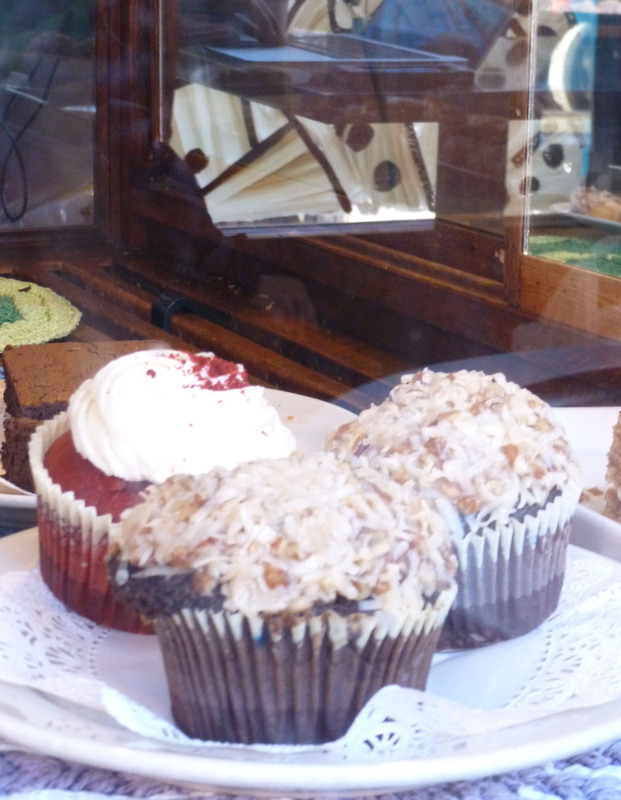 Offering a counter overflowing with community event flyers and boasting the tag line “a taste of culture,” it seems that the owners are cognizant of the cultural legacy of their humble coffee shop, and strive to fill those shoes. 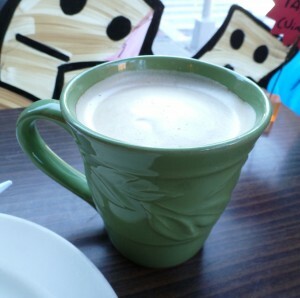 And, by definition, East Harle m Café is a great coffee shop (or at least it is by my definition). Large space with different types of comfy seating: check; exposed brick walls showcasing interesting canvases by local artists: check; the occasional shop-wide conversation drummed up by the friendly barista behind the counter: check; low buzz of the milk steamer wand on the massive espresso machine filling in the silence between those shop-wide conversations: check; chill tunes played at just the right level: check; an excellent variety of tasty espresso beverages, teas, and coffee: check. 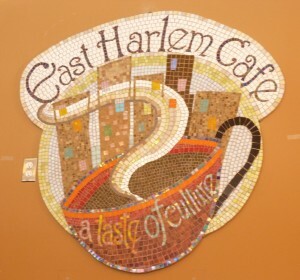 However, East Harlem Cafe should really stick to what they do well, and ditch the menu that goes beyond teas, coffee beverages, and pastries. I stopped in on one of the more frigid days that winter has offered us thus far, and was excited to be able to order both a piping hot latte and bite to eat. My excitement quickly turned to disappointment when I laid eyes on the soup and sandwich combo I ordered. The turkey and cheese sandwich, which I guess could be construed as a Panini (note the press indentations, though it was not served warm), was, in two words, old and limp. Two anemic slices of store-bought wheat bread were layered with dehydrated and browning romaine nubs, shriveled and flavorless apple slices, and school-lunch grade turkey cold cuts. Though I was skeptical of this sandwich I was also hungry, so I took a bite. And then I stopped. The turkey had the metallic taste that only low quality re-constituted cold cuts have, and I also discovered a very pale tomato slice that tasted more like cardboard than any vegetab le. 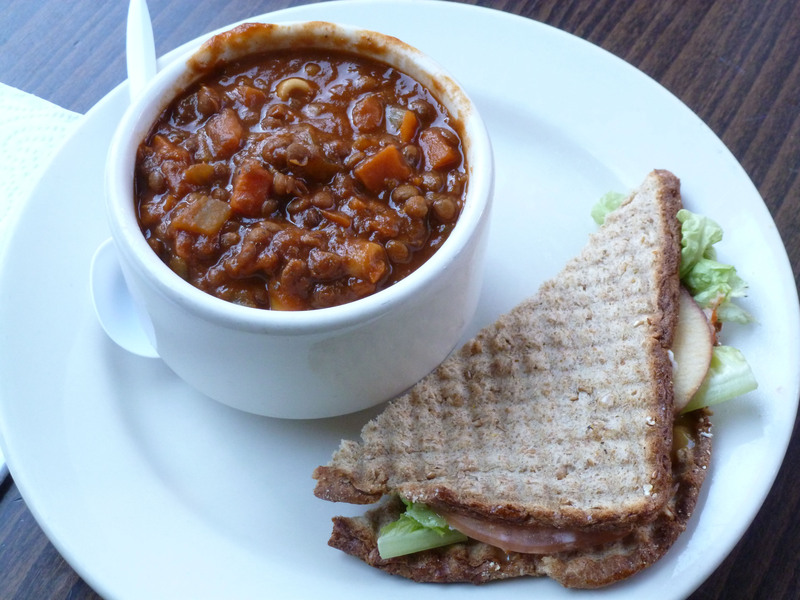 I pushed the sandwich aside and moved on to the soup quickly, which was a hearty tomato lentil concoction with pasta and vegetables. Though it was far more palatable than the old half sandwich, it was luke warm, under seasoned, and full of overcooked pasta despite how rich & hearty it looked. Though the sign over the counter bragged that they have “the best coffee in east Harlem’ I was skeptical, but ordered a latte and hoped for the best. 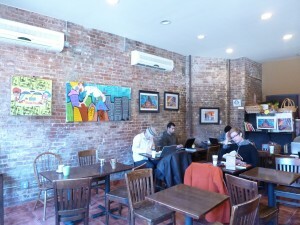 And it was—the latte was absolutely one of the best ones that I have ever had in Harlem. The luxurious and velvety foam was present but not prolific, the espresso shot was fresh and bold without being overpowering or bitter. This latte was, without a doubt, t he best part of my meal, and after the disappointment of the sandwich and soup, I greedily slurped up every drop. As a Café and cultural landmark carrying on an East Harlem tradition, East Harlem Café gets high marks…but for food? Don’t expect much. In fact, save yourself a bad meal and grab yourself some take-out at one of the restaurants across the street or a block or two south on Lexington while you sip the latte you picked up at East Harlem Cafe. 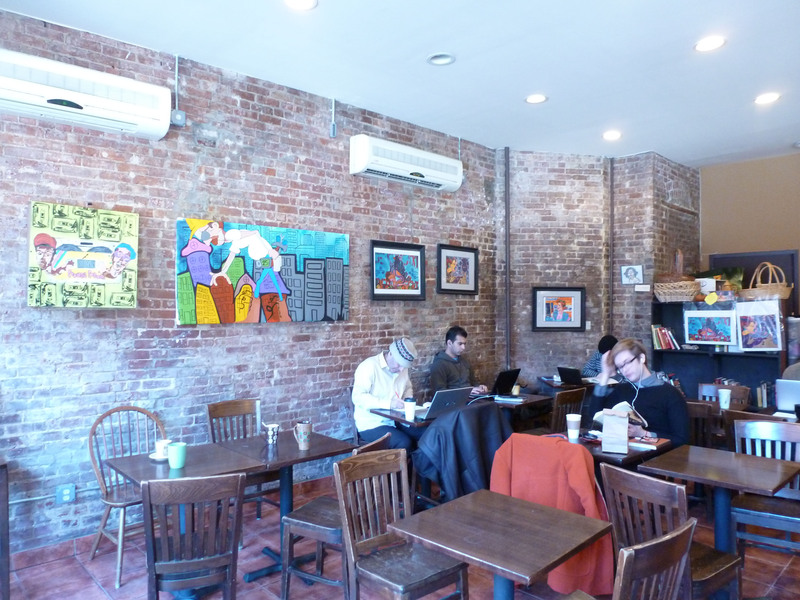 This entry was posted by Arionna on Wednesday, January 16th, 2013 at 8:44 pm	and is filed under American/Comfort, Coffee Shop, Dessert, Harlem, Manhattan. You can follow any responses to this entry through the RSS 2.0 feed. You can leave a response, or trackback from your own site. I am a long time business owner in the neighborhood and I agree with everything you said in your article…BUT, you have to give it one more try because I just joined forces with Michelle (owner of East Harlem Cafe) and I have designed a menu that I assure you you will love…I am an executive Chef and I opened places like Ricardo Steakhouse in 2004 and Ceviche Tapas Bar (Now Ricardo Ocean Grill) in 2010. 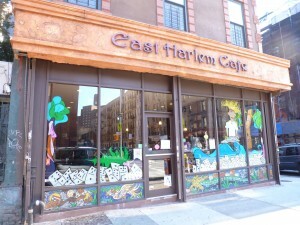 Now at East Harlem Cafe we are serving lunch, and early dinner as well as Brunch on Saturdays and Sundays…. We’d be happy to give it another try.